During the OLED World Summit, an analyst from UBI gave an interesting presentation, showing the company's view of the current status of the OLED TV industry, and their OLED market forecasts for upcoming years. So first of all, we have LG and Samsung. LGD has obviously been successful in launching WOLED OLED TVs, and scaling up to mass production has been achieved. 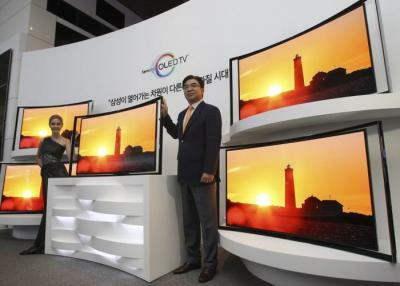 LG is also hopeful that solution processing will enable them to produce RGB-structured OLEDs efficiently. LG is collaborating with Merck and Espon on printing technologies. eMagin, the OLED microdisplay maker, reported their financial results for Q3 2015. Revenues were $5.4 million - down from $7 million in Q2 2015 due to a decrease in both product sales and R&D contract revenue. Net loss was $2.2 million, and eMagin currently has $5.1 million in cash and equivalents. eMagin decreased its revenue guidance for 2015 and now anticipates annual revenues of $24 million or above. A couple of months ago eMagin has entered into an agreement with Craig-Hallum Capital Group that will allow them to raise up to $4.5 million. 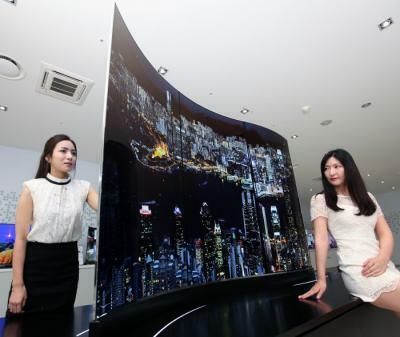 LG Display is one of the two companies that lead the OLED industry, and the Korean display maker recently announced a major shift in focus from LCD displays to OLEDs. We conducted a short interview with an official from LGD regarding the company's OLED business goals and aims. Q: LGD's CEO recently gave a very exciting speech regarding OLEDs, as the company shifts its focus towards OLEDs. What made you take that decision? How do you see the OLED TV market evolving in the next few years? Market competition is getting fiercer with Chinese manufacturers rapidly catching up in terms of technology and capacity. In response, we recognize that differentiation in product and technology is essential to growth and maintaining leadership in the display industry. IHS says that AMOLED material consumption will increase dramatically starting in the second half of 2015 as LG Display increase WRGB (WOLED) OLED TV panel production. The market will more than threefold - reaching $165 million in H2 2015, up from $58 million in H1. IHS forecasts that the WOLED material market will grow at a compound annual growth rate (CAGR) of 79% from 2014 to 2019, to reach over $1.25 billion. 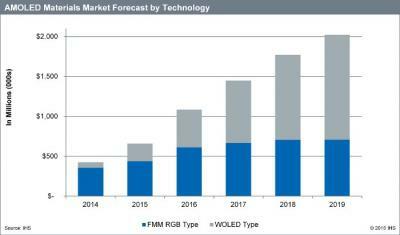 The whole AMOLED materials market will grow at 54%, from $658 million in 2015 to $2 billion in 2019 (at a CAGR of 37%). eMagin, the OLED microdisplay maker, reported their financial results for Q1 2015 - the company generated $6 million in revenue (down from $6.3 from last year) and with higher gross margin and lower expenses, they managed to turn a profit of $300K - after seven quarters of operating losses. 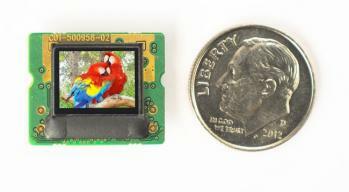 eMagin started to ship their ultra high brightness WUXGA displays, and also started to ship VGA displays globally (these are eMagin's lowest cost displays ever). 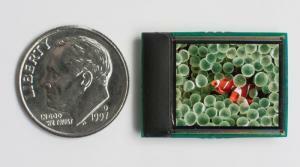 eMagin also reports advances in direct-patterned OLEDs, and they completed development of its recently announced microdisplay-based HMD and demonstrated it to potential customers.